Gush of Rain Falls Out of Cloud. I thought this was really neat. 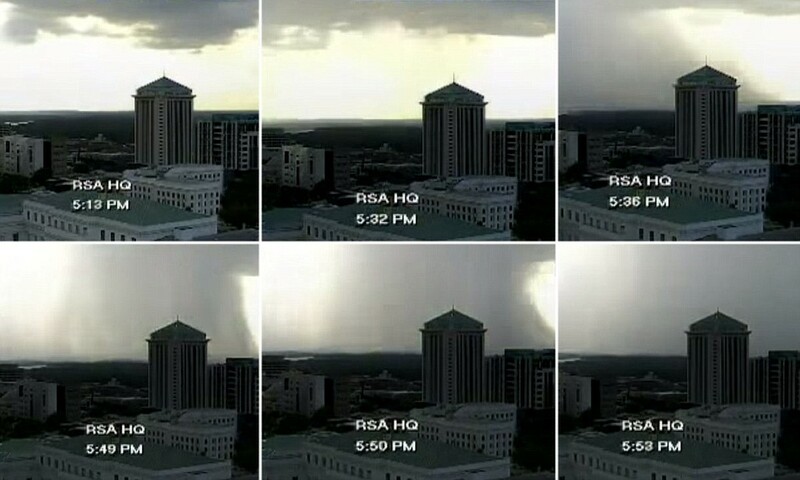 Footage of the event occurred in Montgomery, Alabama. Forbes list of American States in a fiscal death spiral. Thinking about buying a house? Or a municipal bond? Be careful where you put your capital. Don’t put it in a state at high risk of a fiscal tailspin. Eleven states make our list of danger spots for investors. They can look forward to a rising tax burden, deteriorating state finances and an exodus of employers. The list includes California, New York, Illinois and Ohio, along with some smaller states like New Mexico and Hawaii. If your career takes you to Los Angeles or Chicago, don’t buy a house. Rent. If you have money in municipal bonds, clean up the portfolio. Sell holdings from the sick states and reinvest where you’re less likely to get clipped. Nebraska and Virginia are unlikely to give their bondholders a Greek haircut. California and New York are comparatively risky. Two factors determine whether a state makes this elite list of fiscal hellholes. The first is whether it has more takers than makers. A taker is someone who draws money from the government, as an employee, pensioner or welfare recipient. A maker is someone gainfully employed in the private sector. Do you live in one?